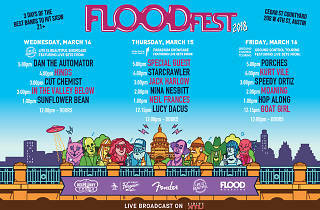 Now in its fourth year, FLOODFest returns to SXSW for three days of showcasing up-and-coming (and already arrived) acts. 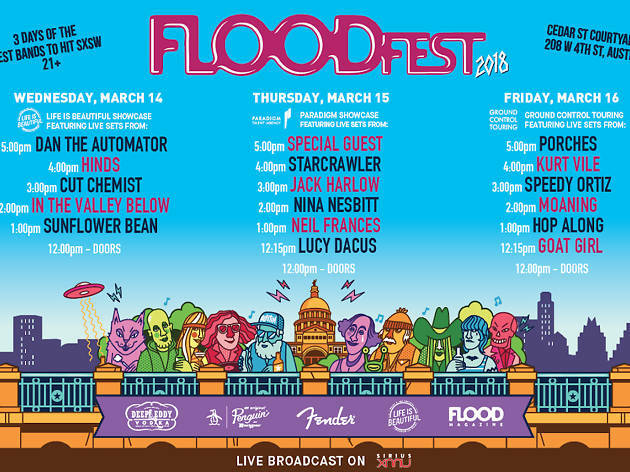 Kurt Vile, Dan the Automator, Speedy Ortiz, Hinds and more will be playing at the Cedar Street Courtyard on Wednesday, Thursday and Friday, and SiriusXMU will broadcast live. RSVP here.